Justin Cowboy Boots: a review of their styles. One of the tops in western boots!! 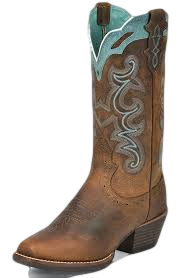 Justin Cowboy Boots, one of the tops in western boots. Justin Cowboy Boots on sale. and easy to way to get to all the good buys of this premiere western boot. and, of course, the popular roper. The Justin Boot Company has a long history in the trade. The official beginning dates back to 1879 when H.J. Justin, a boot repairman, began working out of his house in Spanish Fort, Texas. Ten years later, following the railroad, he moved his operation to Nocona, Texas. By the start of the twentieth century his sons, John and Earl, joined the enterprise and it became H.J. Justin & Sons. Within a couple of years, they were selling their western boots in most of the U.S. Mexico and Cuba. After H.J.’s death, the sons moved the headquarters to Fort Worth in 1925. In 1948 John Jr. bought the controlling interest in the company. Eventually by 1968 the organization had acquired Acme and became Justin Industries. As of 1990 they had grown to include in their family of brands: Nocona, Chippewa and their strong competitor for many years, Tony Lama. In August of 2000 one the best compliments in a business sense was paid to Justin, in particular, and the cowboy boot industry, in general by one of the most renowned entrepreneurs of the world:Warren Buffett. 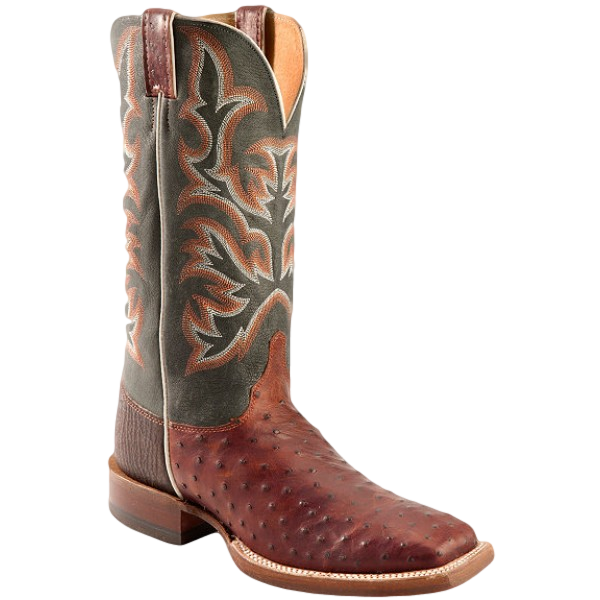 Buffett recognized the strong future of the western boot business and purchased Justin Boots through his company, Berkshire Hathaway. We’ll be here for a long time to come!!!!! We have assembled a group of sellers that give excellent service with prompt delivery, exchanges and money back guarantees. We have reviewed the sellers available for reliability, service, price and return policies. Just click here to go to these sellers where you can check out their styles, prices from the comfort of your computer.